Pune, India – Envirofit India has surpassed 1 million tonnes of CO2 reduced, demonstrated via the issuance of Gold Standard carbon credits; Verified Emissions Reductions (VERs). This milestone was certified by Gold Standard Foundation, a respected international carbon standards and certification group – and made possible by durable, high-quality Envirofit stoves that households use year after year. Envirofit can issue VERs over many years because their CO2 reductions, generated when households use their stoves, have been independently verified. 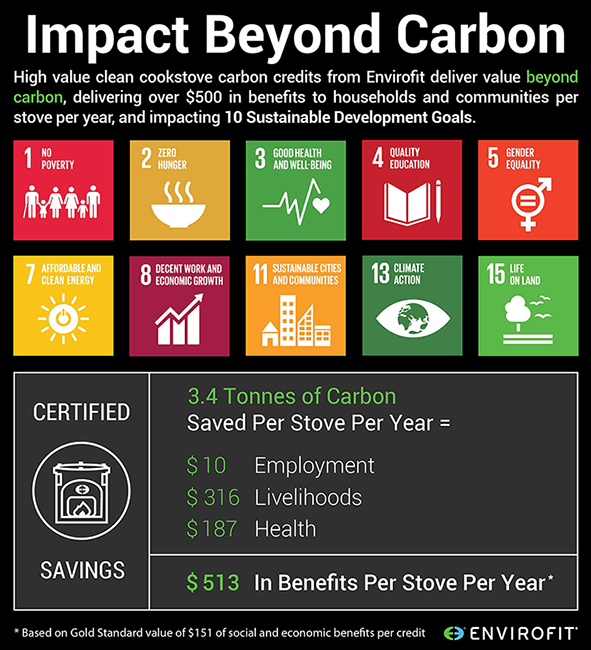 As the global leader in the design, manufacture, and sale of technologically advanced biomass cookstoves, Envirofit uses the proceeds from the sale of carbon credits to provide a boost to small scale clean cookstove enterprises with training, marketing and sales support. This support helps increase energy access for people living in energy poverty. Furthermore, according to the GSF, the impact of 1 million cookstove VERs is equivalent to an over $500 million investment in employment, livelihood and health impacts over and above the certified climate impacts. Envirofit works with the GSF to certify CO2 emissions reductions from household cookstove use and to issue corresponding carbon credits. Envirofit’s partnerships with carbon credit buyers, including governments, corporations and private individuals, helps them to offset their unavoidable greenhouse gas emissions via high impact, charismatic carbon reduction projects throughout the world. By partnering with Envirofit, carbon credit buyers can deliver both climate and sustainable development impacts that transcend most standard CO2 emissions reductions. Working with the GSF, Envirofit follows a rigorous monitoring, reporting & verification process in its cookstove projects to accurately account for the emissions reductions. The improved efficiency and durability of Envirofit’s biomass cookstoves is monitored frequently and households are surveyed to check that stoves are continuously used by their owners. This monitoring process is then independently verified to ensure transparency, which means that carbon credit buyers can claim an impact via their purchase that is traceable back to the individual stove use in households throughout the world. Nearly three billion people worldwide live in energy poverty, lacking access to clean energy technologies, and cook their meals over open flames with biomass fuels such as charcoal and wood. Traditional cookstoves are incredibly inefficient, wasting 90% of the energy generated and requiring up to one-third of a family’s income for fuel. It is also hazardous to the environment, causing 25% of the world’s global black-carbon emissions. The smoke and other toxic fumes that result from cooking this way – known as Household Air Pollution – are estimated to cause or directly contribute to 3.8 million deaths per year – more than HIV, malaria and tuberculosis combined. Envirofit stoves reduce smoke and toxic emissions by up to 80% and reduce fuel consumption by an average of ~60%, which corresponds to a reduction of between ~2-3 tonnes of CO2 equivalent per year. Over its average lifespan of 5 years, each Envirofit stove can help prevent up to 15 tonnes of CO2 equivalent from being released. 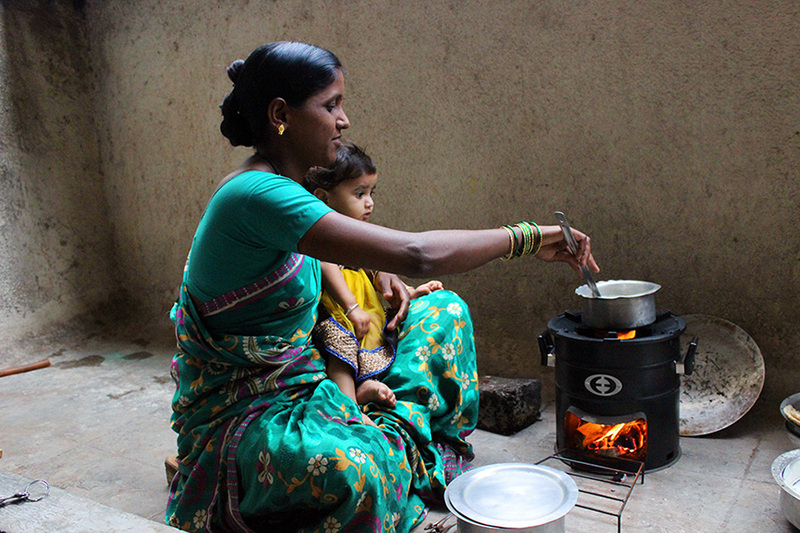 With over 1.6 million stoves sold worldwide, Envirofit stoves have the potential to prevent the release of up to ~24 million tonnes of CO2 equivalent over their lifetime. Envirofit India, a subsidiary of Envirofit International, is a social enterprise that innovates smart energy products and services that improve lives on a global scale. Using a market-based approach, Envirofit develops a global product line of wood, charcoal, and LPG cookstoves that cook faster while reducing fuel use, smoke, and toxic emissions. Serving more than 8 million people in energy poverty, Envirofit’s household energy products reduce climate change, create new jobs, and enable families to save money.